In a state with endless vistas and magnificent sunrises and sunsets, it is fitting to employ light as a central metaphor. 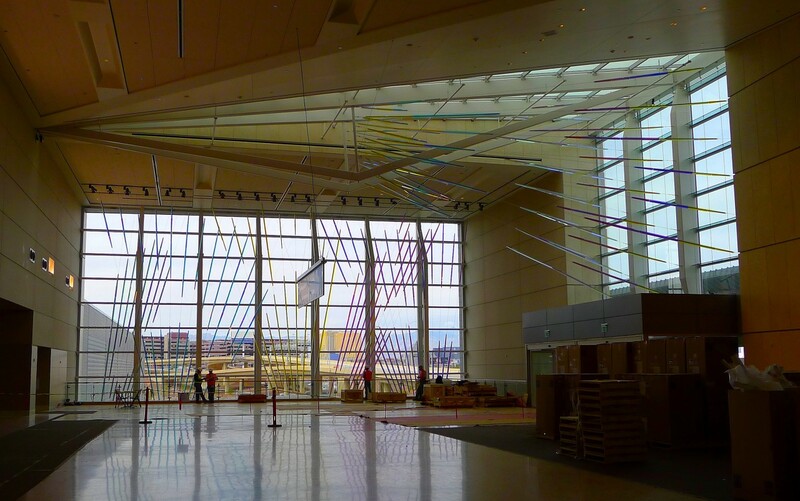 This installation refers to colors and forms from the horizons and weather patterns of the State of Nevada, suggesting sensations of buoyancy, transparency, and the kinetic interplay of light and shadow. 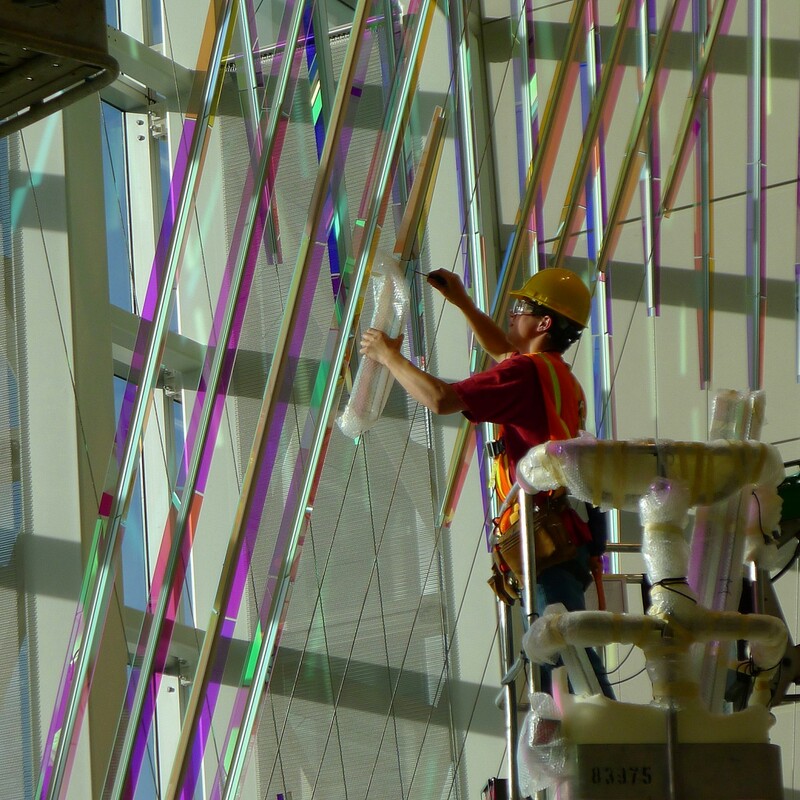 It builds on the visual complexity of McCarran Terminal Three’s west window wall and adjacent skylight, adding an inner layer of cable-mounted glass panels whose colors and reflections transform themselves dramatically from various angles. 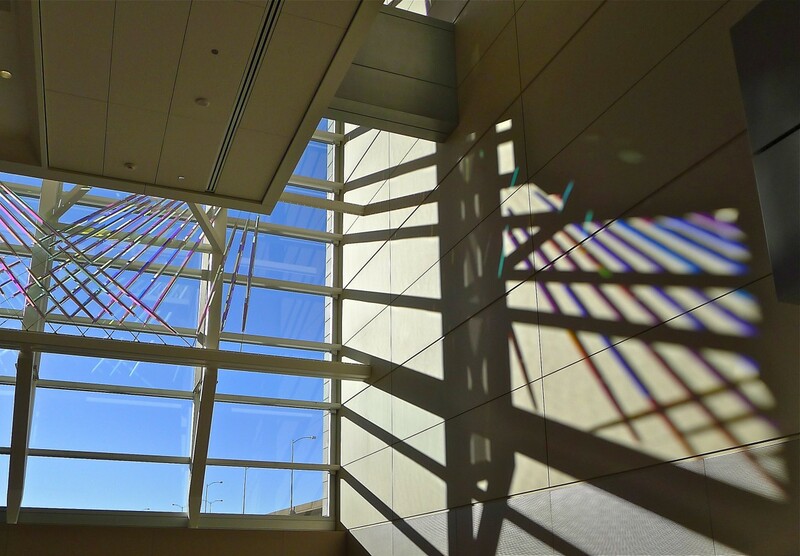 As the sun moves around the building and eventually strikes the west window wall, the glass presents a series of changing moods and colored projections with great visual richness. At night the artificial lighting is equally compelling, including a full array of colorful reflections on adjacent architectural surfaces. 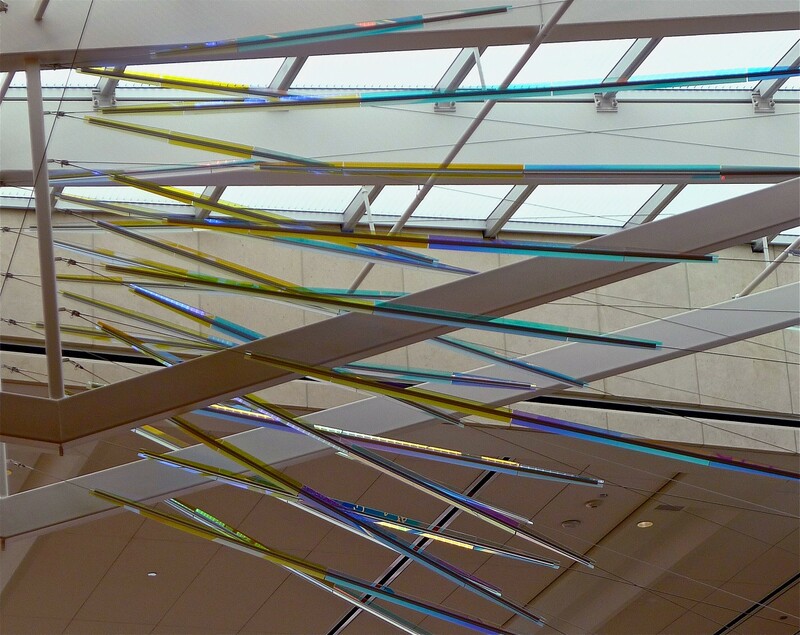 The installation can be seen the whole length of the ticketing lobby, providing increasing richness of detail as one approaches. 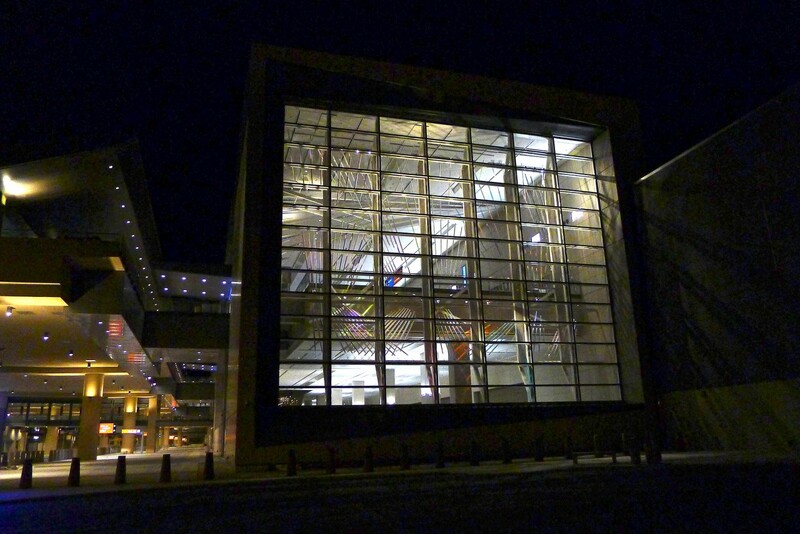 From the exterior, especially at night, the window creates dynamic forms that complement the architectural structure. 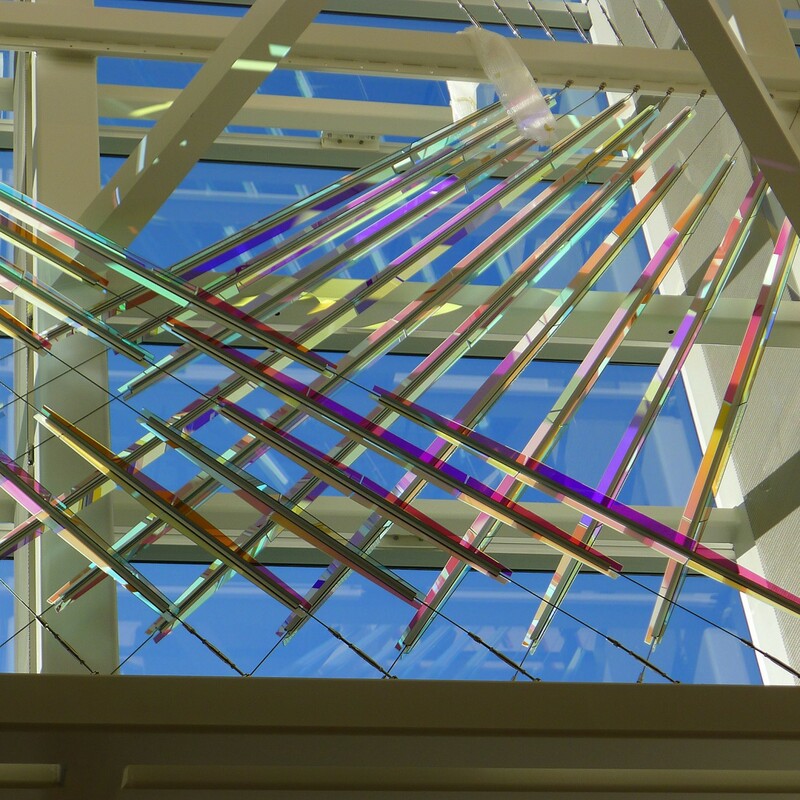 This sculpture spans three levels and consists of a main component at the west curtainwall, and a secondary component beneath the skylight over the adjacent entry. 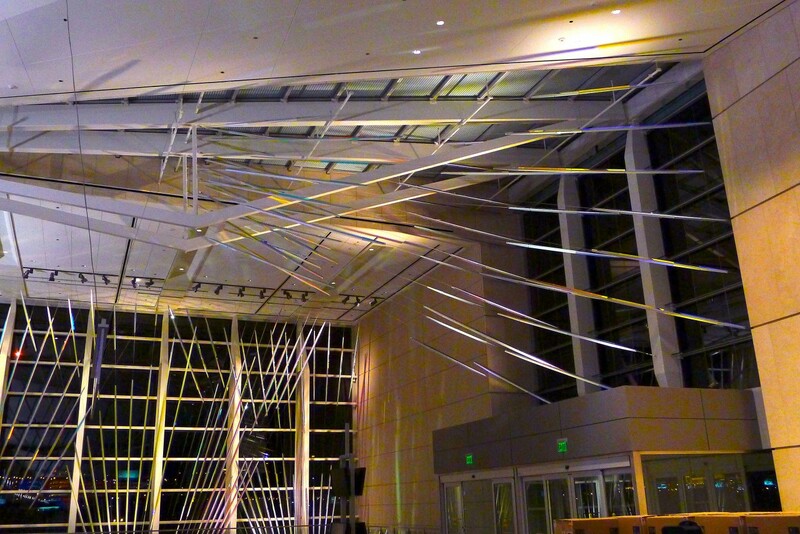 Dimensions: West window: 70’ wide x 52’ high. Skylight: 33’ wide x 32’ high. 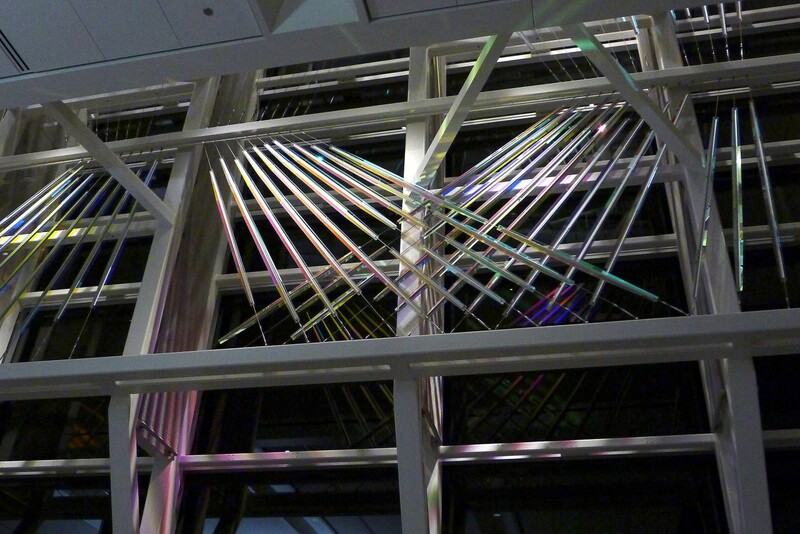 Materials: Dichroic glass, anodized aluminum, and stainless steel cables and hardware. Expediter: The Richardson Partnership, Inc.